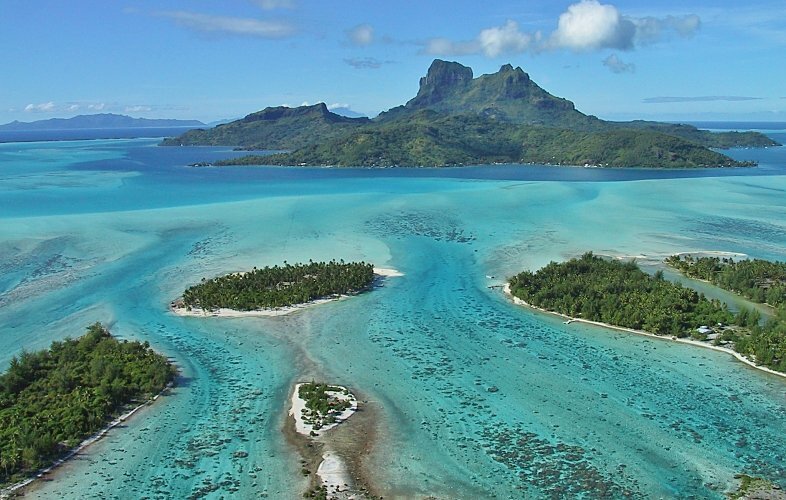 Just say the words "French Polynesia" and what springs to mind are a plethora of small islands with stunning white beaches, surrounded by crystal clear warm water. Situated in the heart of the Pacific Ocean, this island archipelago is home to some of the most wondrous dive sites, where hundreds of hungry sharks gather in schools to be joined by manta rays and bottle-nosed dolphins. Diving Rangiroa's reefs and channels you can expect to see grey reef hammerhead, black tips, silky, tiger, and silver tip shark species cruising the reef, hunting on schools of snapper and fusiliers. Whist drift diving through the 1200m wide channel at North Fakarava Island, you can experience incredible shark action, see huge Napoleon wrasses, and witness marbled groupers spawning. A typical diving day will see you cruising through channels and exploring the outer reefs of the atolls, yet there are numerous of shallow dive sites within the Tuamotu Archipelago, each with stunning hard corals, sheltering all manner of crustaceans and mollusks. Payment Schedule: $ 750 Deposit. Another $ 1000 due by June 1st, 2021. Another $ 1000 due by September 1st, 2021. Final Payment due February 15th, 2022. If you make changes to the reservation it may result in additional fees. For cancellation 12 or more months prior to departure, a refund will be given based on reselling your space in order to avoid any penalties from the vendors. For cancellation 3 - 12 months prior to departure, the original deposit will be forfeited and you will also be responsible for any vendor penalties. For cancellation less than three months prior to departure, or if you are a no-show, no refunds will be given.